Although most well-known around the Jewish High Holidays, the cantor in Judaism is often present throughout the year in the synagogue. In Judaism, a cantor — also known as a chazzan (חַזָּן‎), meaning "overseer" — is primarily known as someone who leads the congregation in prayer along with the rabbi, but the cantor has many additional roles (see below). Additionally, other terms for an individual who guides the congregation are shaliach tzibur ("messenger of the congregation"), which was abbreviated to Sh"tz, which became Shatz, a popular Jewish surname. Cantor became a popular Jewish last name, as well. This individual arose before the days of the prayer book, or when congregations needed help and guidance in the prayer service because not everyone had the liturgy memorized. Any man in the congregation could be the cantor; no special skills were needed. He should be without sin. He should have a pleasant voice. He should be at least 13 years of age. Furthermore, the Shulchan Aruch discusses what happens if the cantor is only a cantor to hear his own voice! In modern times, in the Reform and Conservative Jewish worlds, a cantor is usually trained in the musical arts and/or has attended cantorial school. Professional cantors who have attended cantorial school are ordained clergy. There are some cantors who are simply people from the community with in-depth knowledge of the prayer services. At other times, the rabbi might fill the roles of both rabbi and cantor. Volunteer cantors and rabbi/cantor prayer leaders are especially common in small synagogues. In Hasidic congregations, the cantor is always the rebbe. In Orthodox Judaism a cantor must be male, however, in Conservative and Reform Judaism a cantor can be either male or female. 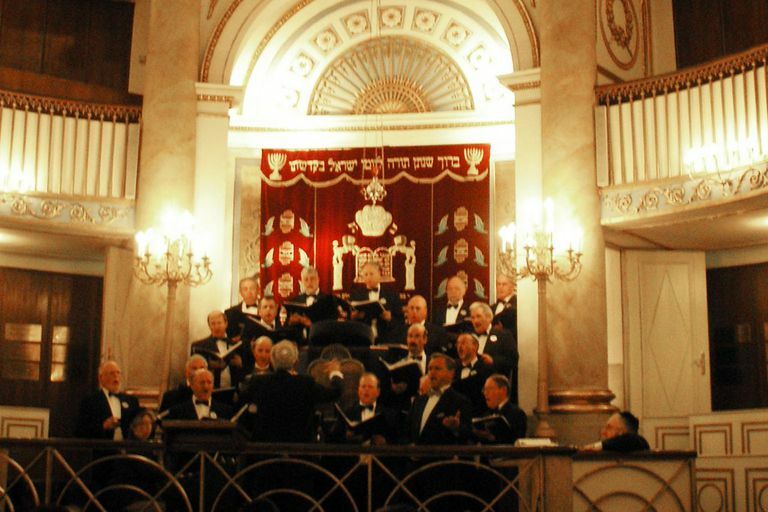 In addition to leading prayer services, in the Reform and Conservative Jewish worlds, cantors have a variety of responsibilities that vary from synagogue to synagogue. Often their duties will include teaching bar/bat mitzvah students to read from the Torah, teaching members of the congregation how to participate in prayer services, leading other life-cycle events, and working with the choir. As ordained clergy, Reform and Conservative cantors can also perform pastoral duties such as conducting weddings or funeral services.